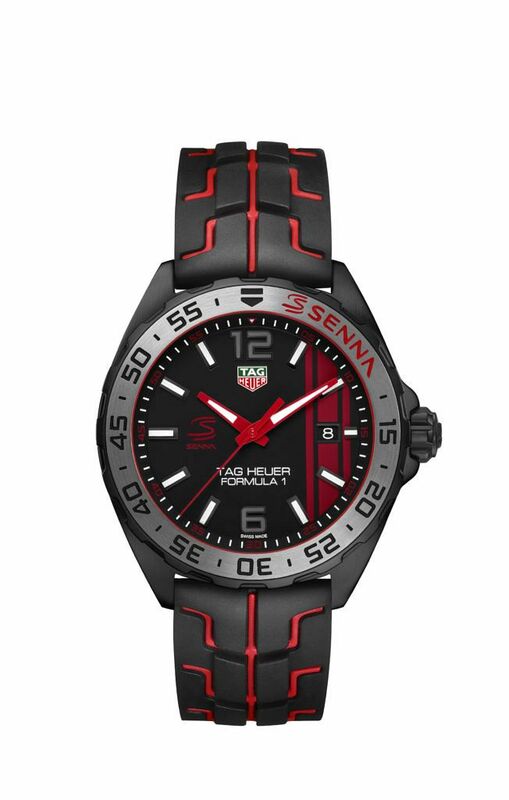 To celebrate the 30th anniversary of Ayrton Senna’s first Monaco Grand Prix victory in 1987, TAG Heuer is releasing three new limited edition watches in tribute to the driver. We all want a good nickname, and “Magic Senna” certainly had one. He is considered by his peers to be one of the greatest drivers of all time: three world championship titles (1988, 1990 and 1991), 65 pole positions, and 41 Grand Prix victories. 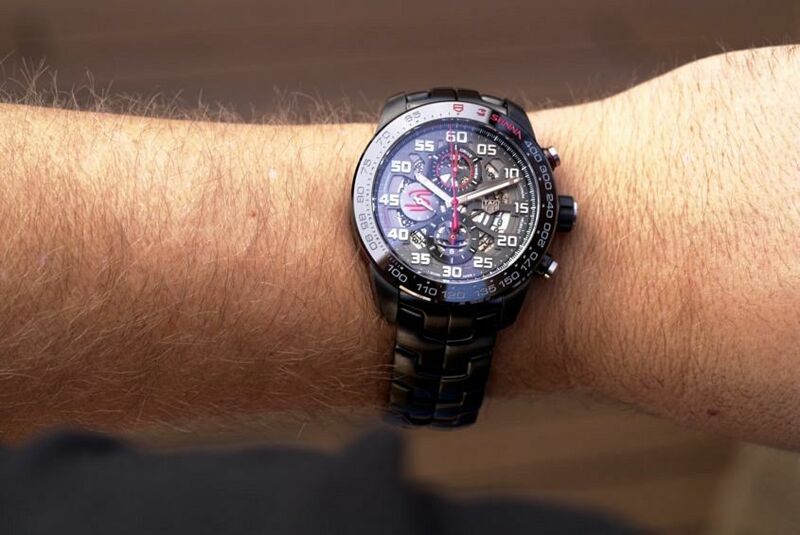 Like TAG Heuer’s brand ambassador Chris Hemsworth, the Heuer-01 is a movement that is most impressive with minimal clothing. Most notably, this is the first time TAG Heuer’s new mainstay Heuer-01 movement is paired with the Senna design codes, including the highly recognisable Senna bracelet with S-shaped links, as worn by Senna himself. 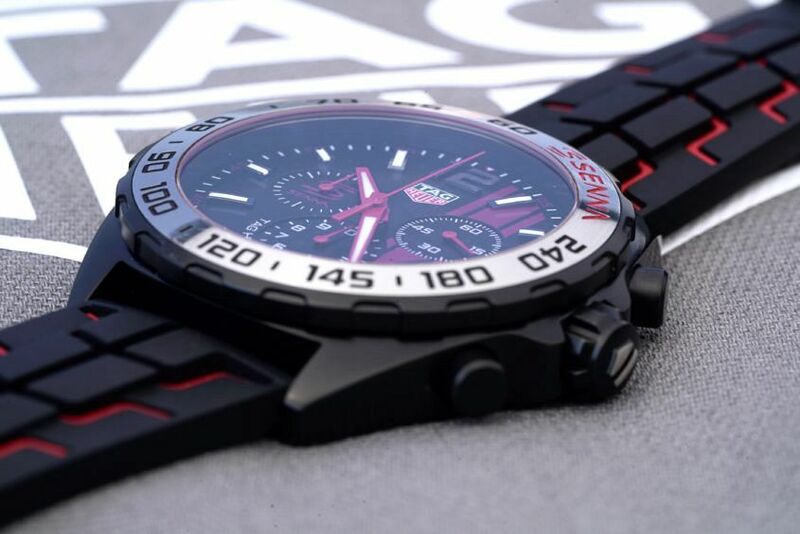 On the Carrera Heuer-01 model, each link is rounded on the top, bottom and sides for an exceptionally smooth feel on the wrist. 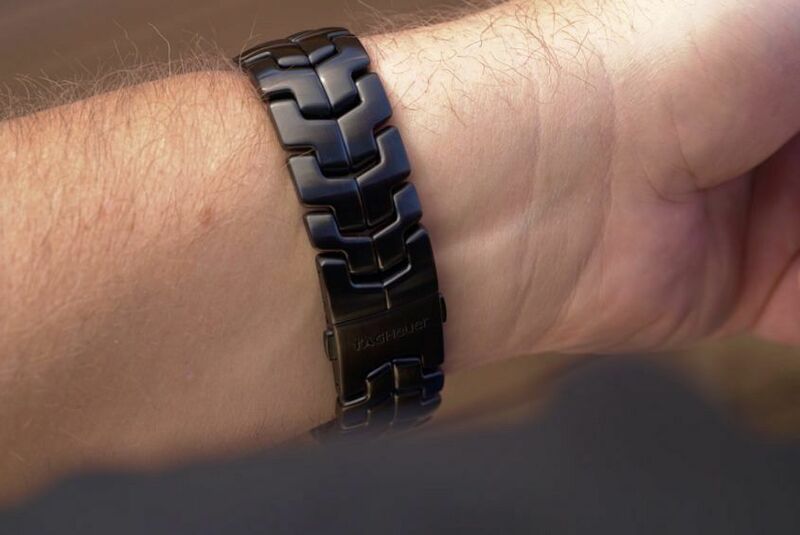 The links are also solid, which means this watch is heavy with a capital H. You really have to ask yourself, are you ready for beastmode? 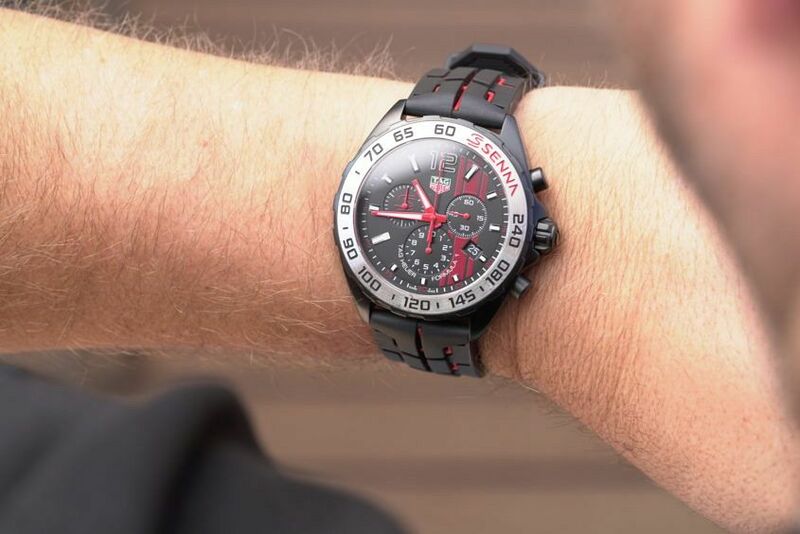 The 45mm Carrera Heuer-01 chronograph in black brushed steel with red accents continues the Heuer-01’s naked tradition, with a skeletonised movement and sapphire caseback. This is an engine the brand want you to marvel at from front and back. 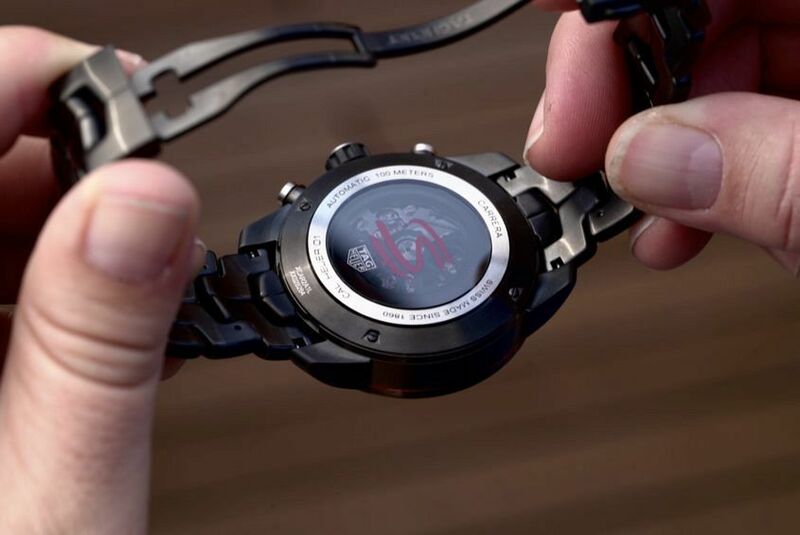 Like TAG Heuer’s brand ambassador Chris Hemsworth, the Heuer-01 is a movement that is most impressive with minimal clothing. 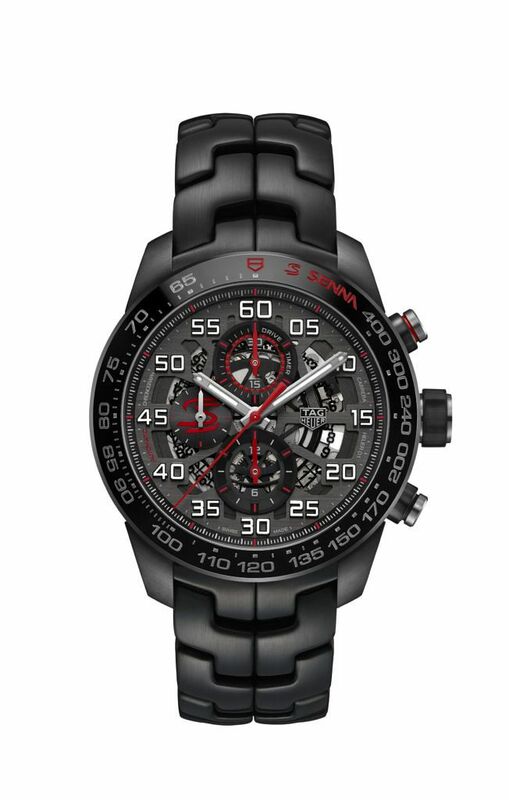 The other two pieces in the series are 43mm Formula 1 models, one a chronograph version as well as a “motor racing” model. 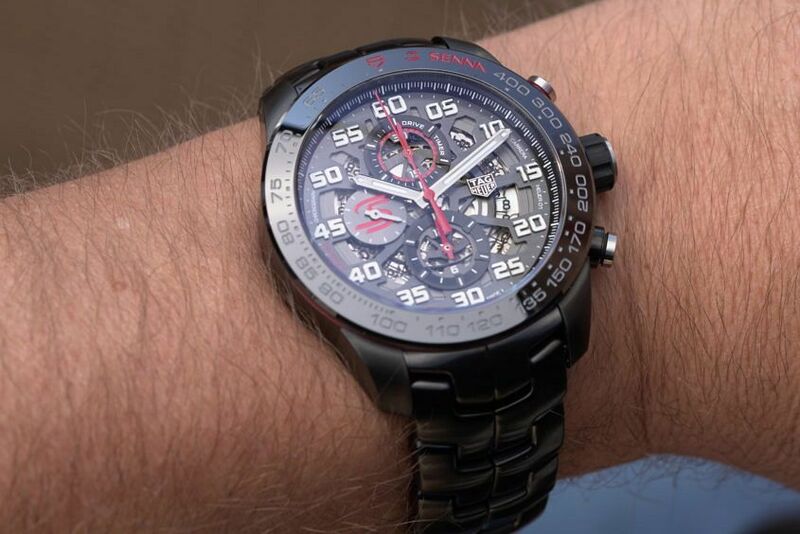 The dial features three red lines, which TAG Heuer says “hints at the tracks left by a speeding race car.” The chronograph version features a quartz movement accurate to a tenth of a second – useful in an motor sports watch – powering the small counter at 6 o’clock, with the minute counter at 9 o’clock and the running seconds counter at 3 o’clock. It’s interesting to note that Senna featured in the original #DontCrackUnderPressure campaign in 1991. 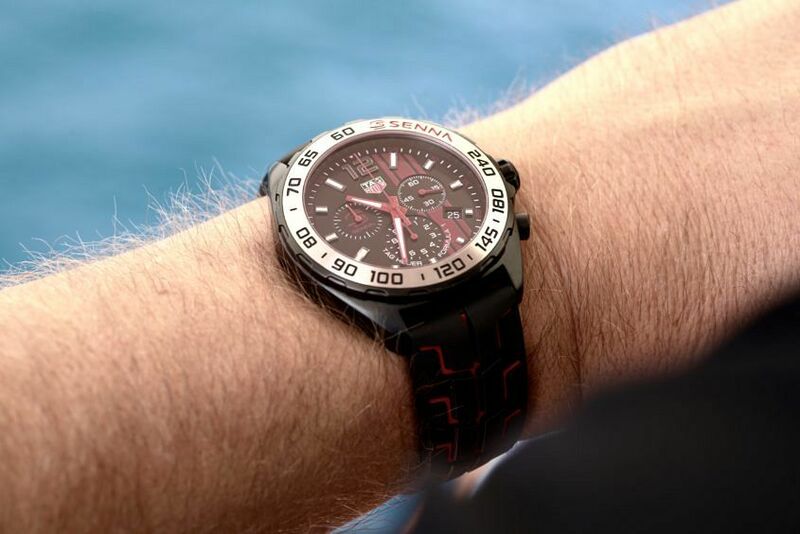 The watches that bear his name have come a long way since then, and these three sporty, stealthy, blacked-out watches reflect wristwatch tastes du jour, which are larger, bolder and more muscular than ever before.